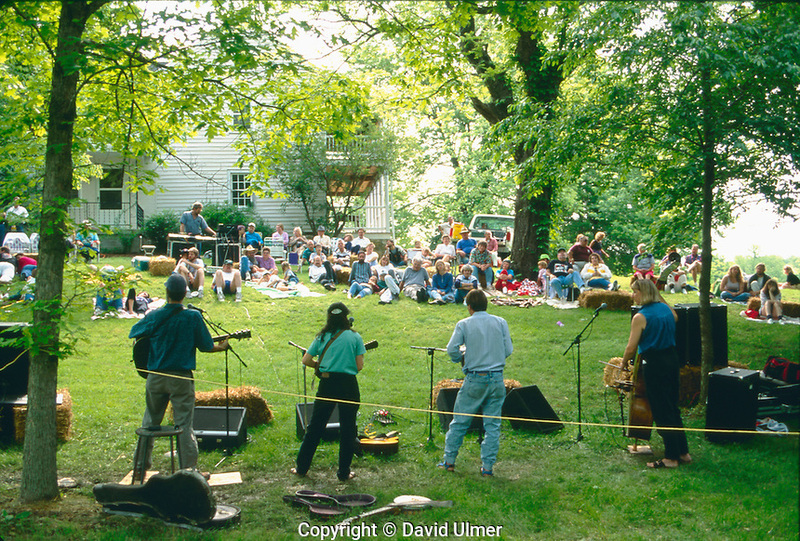 Four musicians entertain an audience on the lawn at an outdoor music festival in Missouri. Restrictions: IMAGE IS COPYRIGHTED. NO REPRODUCTION RIGHTS GRANTED. MAY NOT BE REPRODUCED WITHOUT PRIOR PAID COPYRIGHT LICENSE ON INVOICE FROM PHOTOGRAPHER.